Be the Belle of the Ball in Madison James 19169! This style has a high neckline top with short sleeves and open back and is detailed with lace embellishments and mesh. 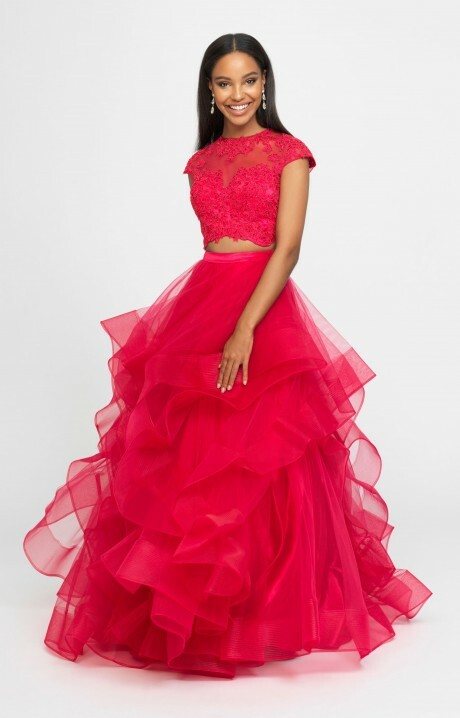 The skirt is a zipper close layered tulle ball gown style adding extra elegance making this dress the perfect formal occasion go to!